Manchester United are set to resume their Champions League campaign on Tuesday as they face Thomas Tuchel’s Paris St-German. 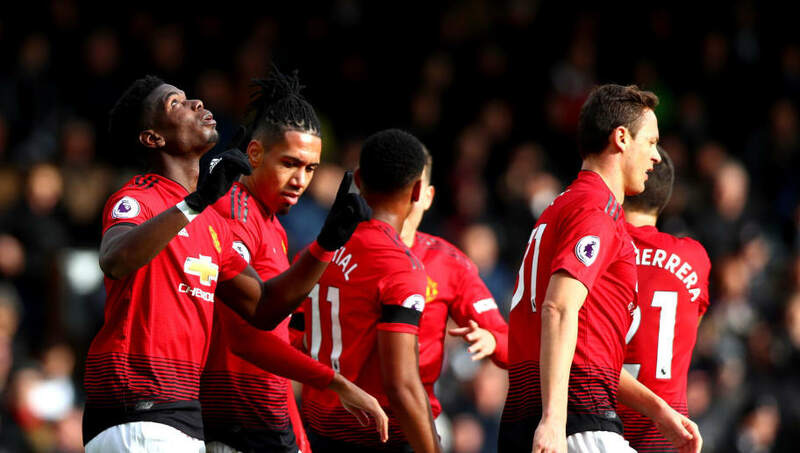 The Red Devils are in confident mood having won 10 of their last 11 matches across all competitions and they are more than ready to face whatever challenge the Ligue 1 champions might impose. Ole Gunnar Solskjaer’s role in the club’s recent transformation cannot be overemphasized as his quest for more attacking football has brought the best out of his players. Paul Pogba — who often warm the bench during the latter days of Jose Mourinho’s regime— and Anthony Martial — who wasn’t good enough to make the Portuguese starting XI — have simultaneously grown up to become one the best attacking players at the Theater of Dreams. The team’s revolution wasn’t limited to the attack alone, the midfield has equally taken a new shape and it now provides strong cover for the back four. Nemanja Matic, hardworking Ander Herrera and summer signing Fred have all developed great understanding at the middle of the pitch. The defence looks the most transformed department under the Norwegian tactician and the Red Devils have conceded just six goals in 11 games as opposed to 20 conceded in the same number of games under Mourinho. They have managed five clean sheets in the League since Solskjaer succeeded Mourinho and David De Gea continue his journey back to usual match-winning form. They thrashed Fulham 3-0 on Saturday and they seem unready to take their feet off the pedal. At the other hand, Tuchel’s men are currently not in their prolific form in front of goal, no thanks to the injury crises battling the team. Former Barcelona star and influential striker Neymar is out due to the metatarsal injury he picked up against Strasbourg last month and he won’t be available for the trip to Old Trafford. Edison Cavani, who seemed to have regain his magical touch at the final third, was injured in their 1-0 win against Bordeaux on Saturday and he’s a major doubt for the much-anticipated game. Impressive defender Thomas Meunier is also out of Tuchel’s traveling squad to the Theater of Dreams as result of injury. Neymar and Cavani’s absence are definitely going to be missed by the Ligue 1 Champions as they will sorely rely on Kylian Mbappe for inspiration. Though Argentina forward Angel Di Maria is very much available for selection, the former Manchester United flop isn’t a centre-forward and he hasn’t been convincing since the start of the season. With just three League goals this season, Di Maria isn’t the player who is capable of scoring many goals against the Red Devils later on Tuesday. Considering United’s form and the injury rocking his team, facing the Old Trafford outfits is definitely a nightmare to Tuchel.